MAC Prep + Prime Fix + Spray: Does it Meet the Hype? What do flowers and your face have in common? Both need consistent hydration to stay fresh and look their best. How can you keep your face hydrated without disturbing your makeup? Try MAC Prep + Prime Fix + Spray with hydrating and soothing vitamins, green tea, and cucumber for soft, dewy, supple skin. MAC COSMETICS Prep + Prime Fix + micro-mists green tea, cucumber & vitamins onto skin for soothing hydration to foundation and skin. If you live in a cold climate, makeup can dry out and crack. Makeup can melt in a hot one. Forced indoor heat pulls moisture out of foundation, leaving a dry, unnatural looking look. Can a makeup setting spray help? And how do you find the right one for your skin type? Harsh forced heat and air conditioning within many apartments and office buildings can make skin dry and makeup crack. 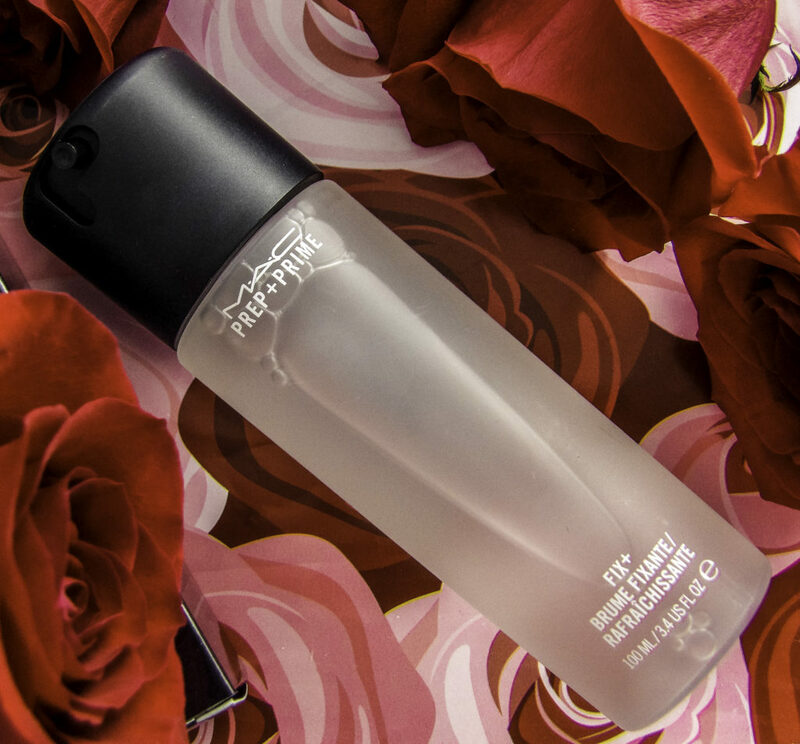 We’ve tried out a few setting sprays lately, and have come to love MAC PREP + PRIME FIX + to make our foundation stay put while our skin looks dewy, supple and hydrated. 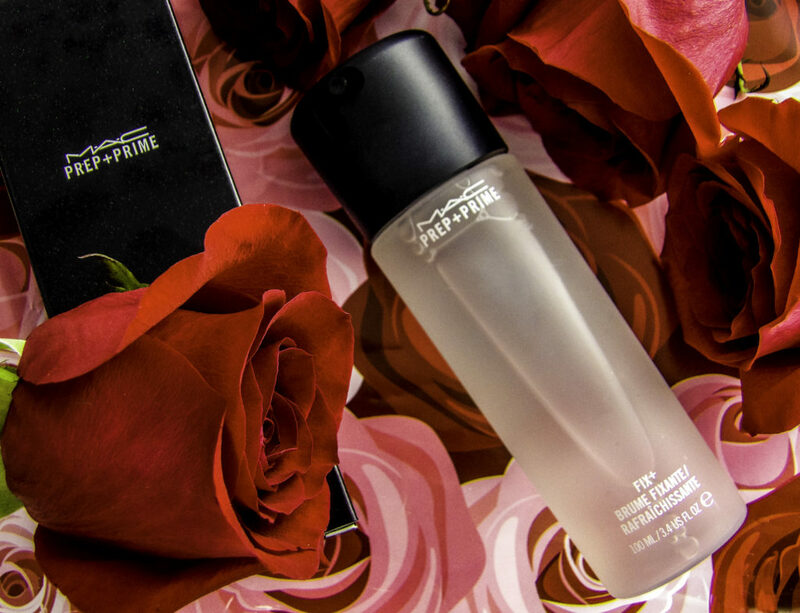 MAC says the MAC PREP + PRIME FIX + is “a lightweight water mist that gently soothes and refreshes skin and finishes makeup.” It contains vitamins and minerals, green tea, chamomile, and cucumber to soothe and refresh the skin. Makeup is refreshed, but there is not a glittery glow or weird wet, slippery look. It absorbs quickly to give an instant boost of hydration while delivering a soft sheen to refresh and finish makeup. Existing makeup is not disturbed by the micro-spray mist. WHY NOT JUST USE A WATER SPRAY OR WET SPONGE? These tactics can work, but I find it does not help the makeup stay fresh in the first place, it only helps blend out creasing makeup before applying more makeup. This may seem like one of those makeup products that you don’t need because a damp sponge can rehydrate dried out makeup. That is only one of the benefits. When I use Prep + Prime Fix + to set my foundation in the morning, I do not need to reapply foundation during the day (except for touching up with YSL Eclat for some brightening, more to look awake under harsh gray lights than reapplying for coverage). Dabbing Prep + Prime Fix + with a Beauty Blender mid-day or before going out after work is also a way to refresh concealer and any foundation that has settled into fine lines around the mouth or folds of the nose. If your skin is sensitive or dry, it helps keep the foundation moist. Sensitive skin will like the soothing cucumber and green tea to keep redness and irritation at bay during the day. Dry and delicate skins will also appreciate that this setting spray does not sting like those that contain alcohol. If you have oily skin, MAC PREP + PRIME FIX + keeps the color of your foundation color true so that it does not get darker during the day, but some oily skin gals report that the spray does not help set their foundation and they still need a mid-day foundation re-touch. If you have oily skin, you may prefer one of the Urban Decay setting sprays. I shake the bottle, hold it about 12 inches away, and mist my face after doing my foundation or foundation and powder as the last step before I do mascara and liner. If my face is exceptionally dry, I mist my face once before foundation application as well. During the day, I spray it again on before any concealer or foundation touch-ups and dab with a beauty blender to smooth out any caking or creasing. MAC PREP + PRIME FIX + comes in a smaller purse size bottle as well. My makeup stays dewy even in cold, harsh weather or in a very dry office environment. A few things I prefer about MAC Prep + Prime Fix+ over other misting and setting sprays is that it is Ophthalmologist tested and Non-acnegenic. I was surprised to see how many acne-causing ingredients appear in some well-known brand sprays. It also leaves skin feeling smooth, not sticky. There are a few setting sprays that leave more of a light hairspray type of tacky stickiness on the skin, that I do not like. I also like that it smells only of the green tea and cucumber, there are no overpowering scents, I smell nothing once it dries down. My makeup doesn’t crack or crease during the day, any touchups are minimal, even on long days. MAC Prep+ Prime Fix+ is $24 for the 3.4-ounce size and $12 for the purse size. Right now, three limited edition versions are also available: a lavender, a rose, and coconut scented Prep+ Prime Fix+ sprays. I use this all day long to keep my skin dewy. My new foundation has been changing during the day – love the formula, but it gets yellow as the day goes on. Hopefully this will solve my issue! I love this stuff – it’s like a spa in a bottle! I buy these two at a time! Love it! I love using this to create eyeliner out of powder shadow. Spray the eyeliner brush, stroke it through the shadow pan, and you get a razor sharp line that lasts all day! This stuff saves my skin in the winter! I love that Fix + Spray doesn’t have glitter in it like so many other sprays that have come out this year. What’s the point of glitter? I understand if you are young and going to a party, but if I’m just touching up my makeup at work…well, I don’t want to head into a meeting with a face full of glitter.